If your home environment is safe and secure, then installing a pet door can provide your cat or dog with the exercise, freedom and stimulation they crave. And these days with technological advances such as Magnetic and SmartKey activation, there’s less chance of ‘unwanted visitors’ in your house. 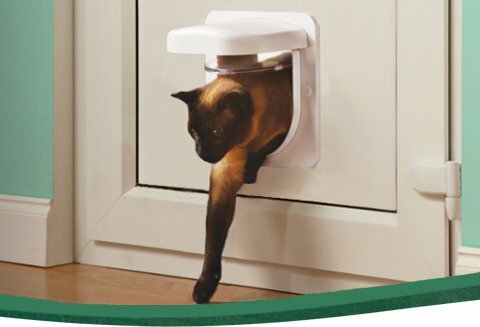 First of all you’ll need to select a door based on the size and weight of your cat or dog. Next you’ll need to decide where you’re going to fit it – door, wall or window. And most importantly you’ll need to decide whether you’ll want to stop unwanted visitors getting in!